Author Madeleine L'Engle, whose novel "A Wrinkle in Time" has captivated generations of schoolchildren and adults since the 1960s, has died, her publicist said Friday. She was 88. L'Engle died Thursday at a nursing home in Litchfield, said Jennifer Doerr, publicity manager for publisher Farrar, Straus and Giroux. The Newbery Medal winner wrote more than 60 books, including fantasies, poetry and memoirs, often highlighting spiritual themes and her Christian faith. For many years, she was the writer in residence and librarian at the Episcopal Cathedral Church of St. John the Divine in New York City. Although L'Engle was often labeled a children's author, she disliked that classification. In a 1993 Associated Press interview, she said she did not write down to children. "In my dreams, I never have an age," she said. "I never write for any age group in mind. ... When you underestimate your audience, you're cutting yourself off from your best work." "A Wrinkle in Time" - which L'Engle said was rejected repeatedly before it found a publisher in 1962 - won the American Library Association's 1963 Newbery Medal for best American children's book. Her "A Ring of Endless Light" was a Newbery Honor Book, or medal runner-up, in 1981. In 2004, President Bush awarded her a National Humanities Medal. Keith Call, special collections assistant at Wheaton College in Illinois, which has a collection of L'Engle's papers, said he considers her the female counterpart of science fiction author Ray Bradbury because people loved her personally as much as they loved her books. "She was tremendously important initially as a children's book author, and then as she wrote meditative Christian essays, that sort of expanded her audience," he said. "She spoke exactly the way she wrote, very elegant, no nonsense, crisp, and deeply spiritual." "Wrinkle" tells the story of adolescent Meg Murry, her genius little brother Charles Wallace, and their battle against evil as they search across the universe for their missing father, a scientist. The brother and sister, helped by a young neighbor, Calvin, and some supernatural spirits, must pass through a time travel corridor (the "wrinkle in time") and overcome the ruling powers on a planet with a totalitarian government reminiscent of George Orwell's "1984." "A Wrinkle in Time" exposes readers to the words of great thinkers, as its characters quote Shakespeare, the Bible, Euripides, Dante and others. L'Engle followed it up with further adventures of the Murry children, including "A Wind in the Door," 1973; "A Swiftly Tilting Planet," 1978, which won an American Book Award; and "Many Waters," 1986. "A Ring of Endless Light," 1980, is part of another L'Engle series, the Austin family books. In all, there were nine Austin books from 1960 to 1999, and eight Murry books from 1962 to 1989, many featuring a grown-up, married Meg and Calvin and their children. Among L'Engle's memoirs are "The Summer of the Great-Grandmother" in 1974, about life at the family home in Connecticut. The great-grandmother is L'Engle's own mother; the story deals with L'Engle's memories and emotions as her mother dies at age 90. After Harry Potter mania swept the world of children's literature, "A Wrinkle in Time" was often cited as a precursor or, for frantic Potter fans, something to read while waiting for their hero's next installment. L'Engle told Newsweek in 2006 that she had read one Potter book and, "It's a nice story but there's nothing underneath it. I don't want to be bothered with stuff where there's nothing underneath." 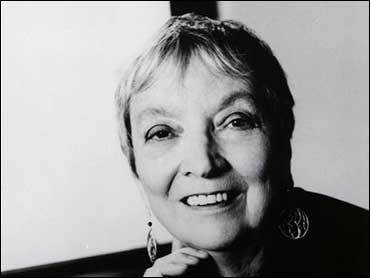 Born Madeleine L'Engle Camp in 1918, L'Engle graduated from Smith College in 1941 and worked as an actress in New York City. There, she met her future husband, Hugh Franklin, an accomplished stage actor who became known later for his portrayal of Dr. Charles Tyler on the soap opera "All My Children." In 1945, her first book, "The Small Rain," was published; she and Franklin married the following year. They moved to Connecticut in 1951 and for several years, the couple ran a general store to make ends meet. They had a son, Bion, and two daughters, Josephine and Maria. The couple had adopted Maria after her parents, who were friends of theirs, died. The family later moved back to New York; Franklin died of cancer in 1986. Her son died in 1999 at age 47.